A famous saying is: “Quality is, if the customer returns back and not the product.” Not enough for PG Systemtechnik! We stand for that. If against all expectations something is not 100% satisfying we guarantee to debug the error as soon as possible. 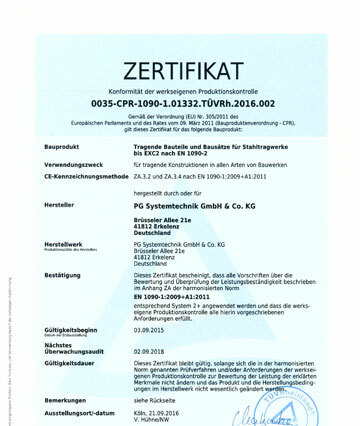 PG Systemtechnik is certified acc. 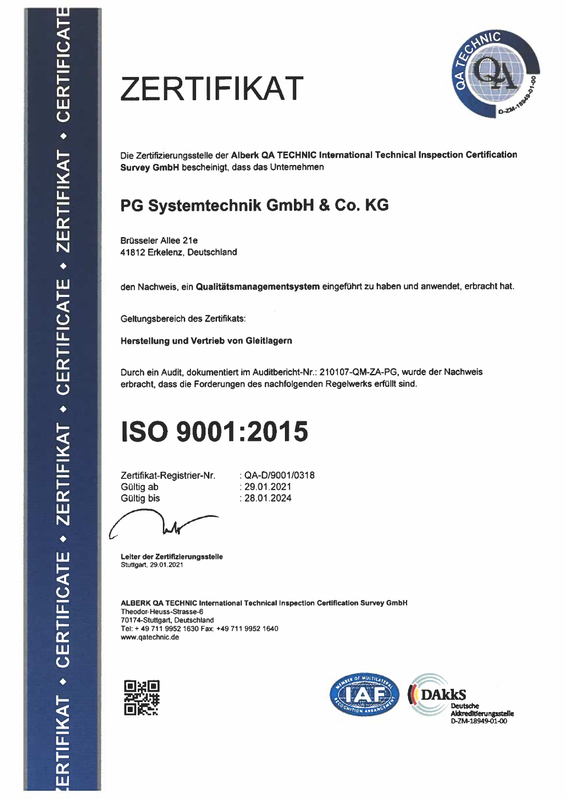 to DIN EN ISO 9001:2008 and EN 1090-2 zertifiziert. All commonly used welding procedures can be made and certified accordingly. •	All our products can be supplied with respective certificates acc. to EN 10204.